Captain [later Major] Gerald Achilles Burgoyne [1874-1936]. 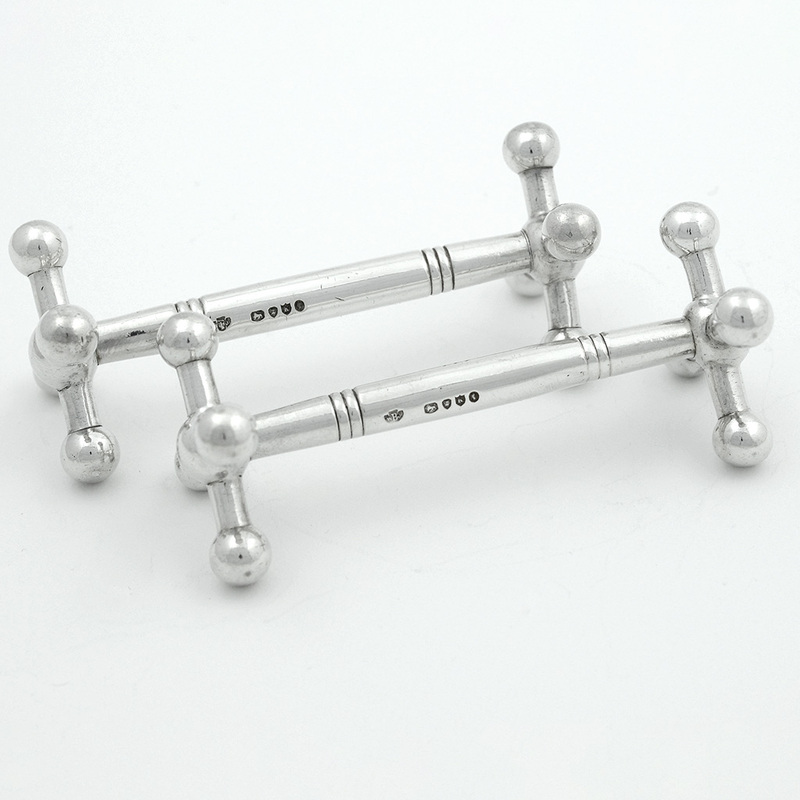 A pair of Irish silver Napkin Rings, by Sharman D. Neill of Belfast, hallmarked in Dublin in 1914. Each ring is engraved with places at which Burgoyne was stationed during his miltary career, at first with the Middlesex Regiment – Ring One: Hounslow 1893-96.; Shorncliffe 1896; Woolwich 1896; York 1897; Dundalk 1899; South Africa 1900-02. Fife 1903; Ballincollig 1905; Curragh 1906; Aldershot 1908. Ring Two with the Royal Irish Riles: Curragh 1910-12; Ballykinlar 1913 and 1914; Holywood 1914; Belgium 3.12.14 to 9.5.15; Carrickfergus 1915; Newry Nov. 1917; Durrington (Salisbury Plains) April 1918; Tidworth ( No. 3 O.S.I) June 1918; Ashurst War Hpt. ( Oxford) March 1919; Paris-Warsaw April-July 1919 (Hallers Army); Demobilised Oct. 1919). Major Burgoyne’s papers are held by the Imperial War Museum in London and his diaries were published by his daughter. Good overall and of thick gauge but with surface knocks and markings. Height – 2.90 cm. ; Diameter – 3 cm. 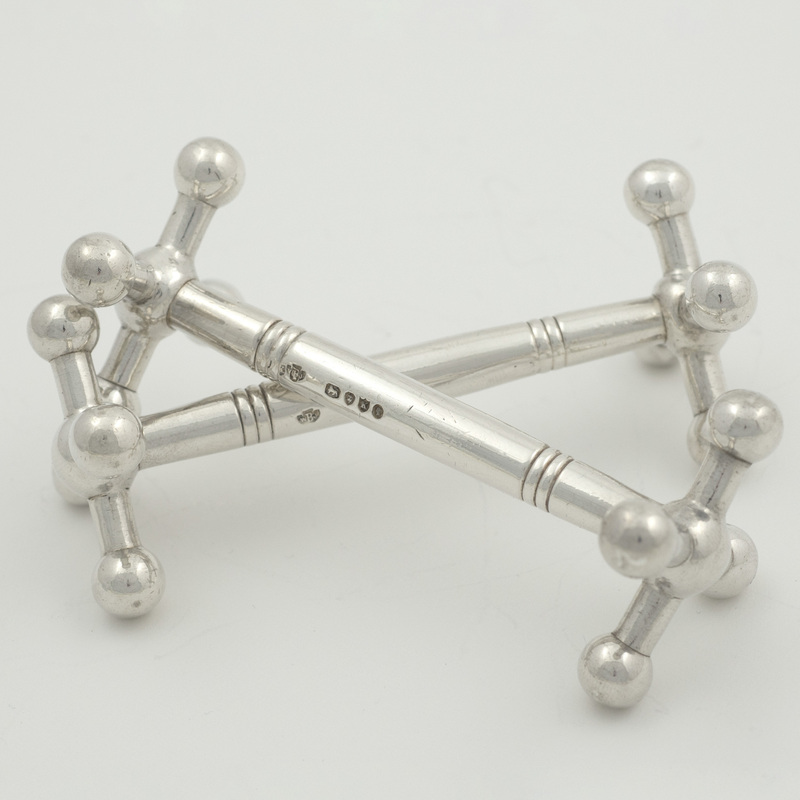 ; Weight of the two rings – 42.90 gms. 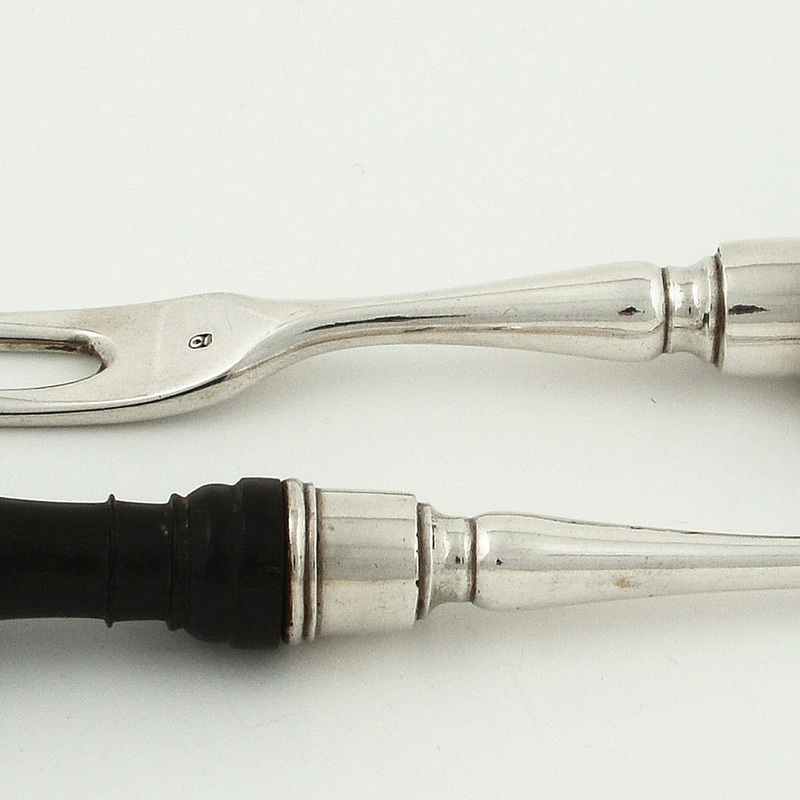 A pair of unusually heavy Victorian silver Knife Rests. 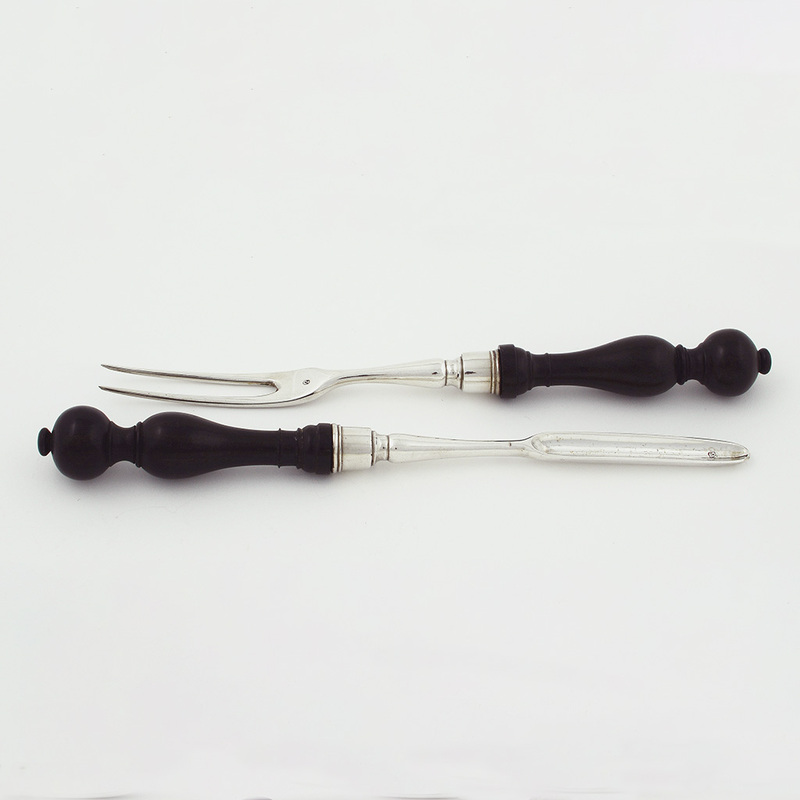 Send Enquiry for A pair of unusually heavy Victorian silver Knife Rests. 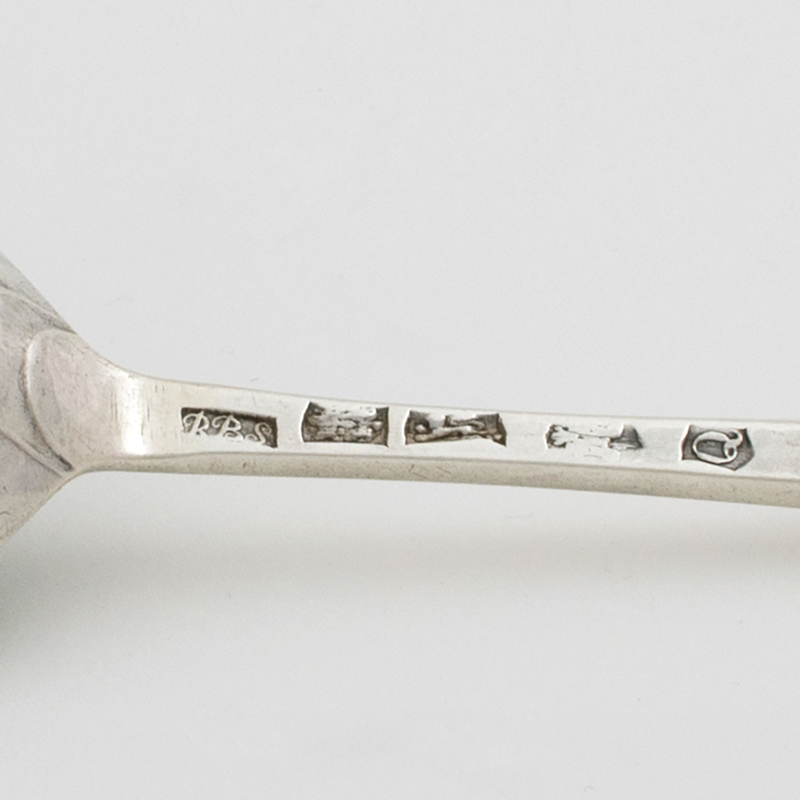 An 18th century silver Basting Spoon. 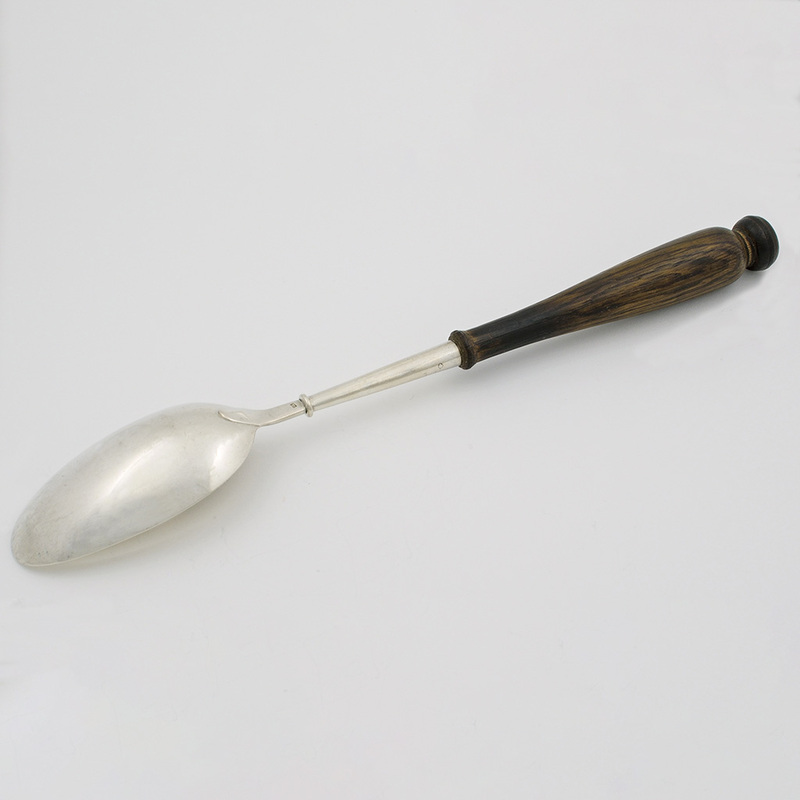 Send Enquiry for An 18th century silver Basting Spoon. previous post: A set of Victorian silver Melon Eaters.